What would YOU do with the money you could make from a pot stock explosion? Tell us in the box below... we’ll read every one — and your response might be read live on air! Montel and I are glad you’re on board to watch our live broadcast coming up on election night, this coming Tuesday, November 6. Remember, we go live right at 8:00 pm Eastern time. You’ll get a link to your email well ahead of time so you can make sure you’re ready to go before the show begins! Today, I want to share the stories of Stan, Allan, Bruce, Norman, and Nancy. Hello there, Ray Blanco again! First, in Montel’s message earlier (you can see it by clicking here) he reported on a small handful of the stories we’ve received from folks just like you. Hello there, it’s Ray Blanco again! Election Day’s another day closer – legal marijuana’s tipping point on Tues. November 6th promises to change the fortunes of select companies in the marijuana business. What Would You Do With Gains From Pot Stocks? Attorney General Jeff Sessions is coming around on the idea of medical cannabis. And a recent poll put approval for medical marijuana at a staggering 93%. The medical implications of cannabis are vast. Hi there, it’s Ray Blanco. First off, thanks for responding to Montel yesterday! How marijuana has impacted your life, what you’d do with gains from fast-moving pot stocks, even the benefits you’ve seen from medical use… THANK YOU for all the responses. 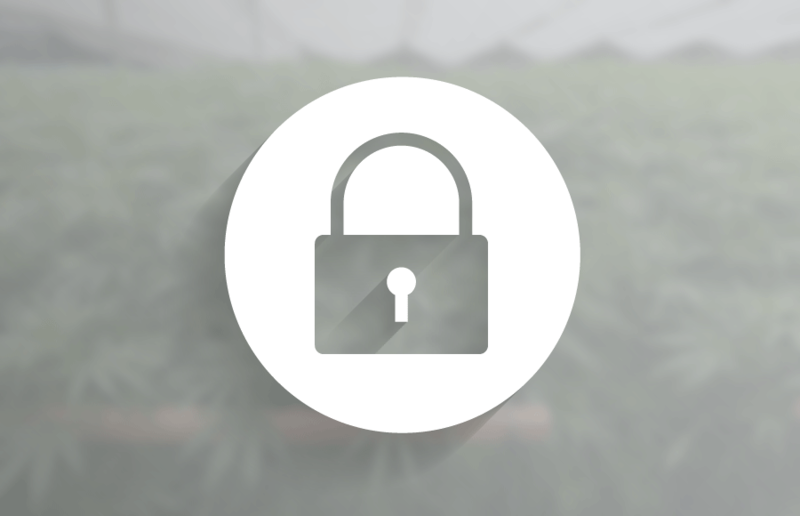 Montel’s out with another video message today – sharing YOUR marijuana stories. CLICK HERE now to watch it. Day #4 - Is Canopy a Buy? Hi, Ray here. I’ll keep today’s update brief. Hello there again, it’s Ray. 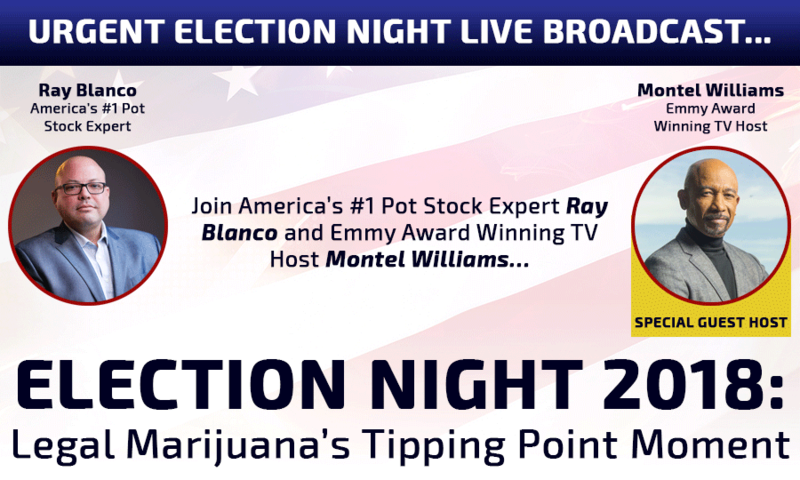 Tuesday night at 8:00 p.m. Eastern, Montel Williams and I go live with Election Night 2018: Legal Marijuana’s Tipping Point Moment. LIVE… as the election results come in… we’ll cover all the biggest news and stories that’ll move pot stocks starting Wednesday morning. And I’ll talk about my THREE favorite, absolute must-have pot stocks for first thing Wednesday when the markets open! Now here’s the thing: You can’t buy pot stocks (or any other stocks) willy nilly. You need a set of rules – guidelines – that help you buy the best stocks and book the biggest potential gains. Marvin, it’s my mission to help you achieve this goal. Hello again, Ray Blanco here. In the past 18 months, we’ve seen pot stocks shoot up 1,481%, 6,353%, even a rare and incredible 19,305%. That last one, (again, a rare case for sure), would’ve turned just $500 into $97,025. Election Night 2018: Legal Marijuana’s Tipping Point Moment will show you how between tonight and tomorrow, more new “marijuana millionaires” could be minted than any other day in history. Just Put Your Phone Number Here to Enter Now!